This is looking pretty crazy; the protestors have burned police vehicles, and confiscated the fracking equipment! I hope everyone on both sides gets to go home and see their families. 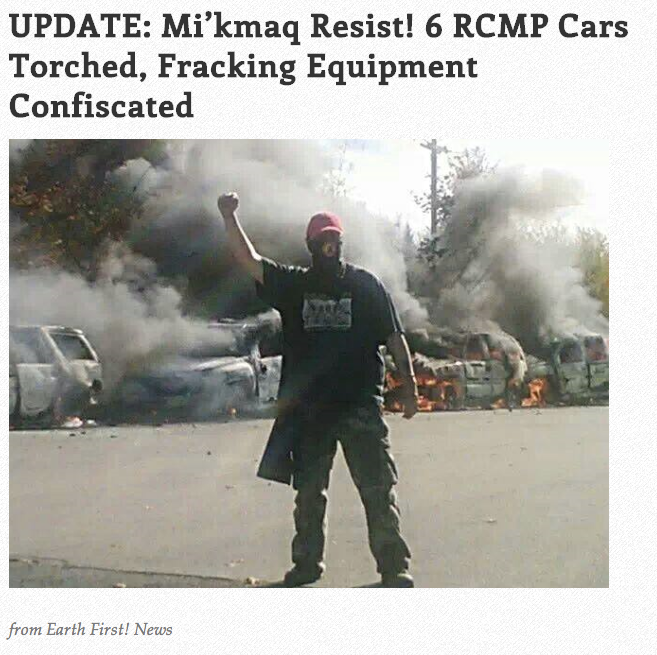 This entry was posted in 2013, fracking, natives, protest, RCMP, resistance and tagged fracking, Mi’kmaq, Mi’kmaq Resist, protest, rcmp, resistance. Bookmark the permalink.